At Gamescom 2018 Tuesday, Bandai Namco treated Soulcalibur fans to two new Soulcalibur VI trailers: one revealing the return of the fan-favorite character Tira and one showing the game’s story mode. 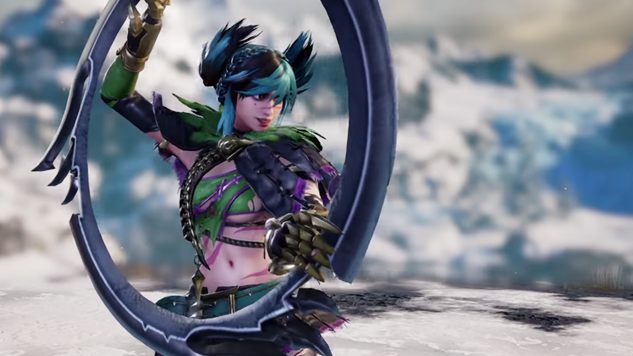 The Tira reveal trailer shows the assassin wielding her iconic ring blade weapon and sporting a look reminiscent of her Soulcalibur III design. Tira’s reveal comes to the relief of many fans who are waiting for their favorite original characters from the series to be confirmed in the new entry. Soulcalibur V was widely criticized for, among other things, its exclusion of classic characters in order to include new characters who, although they resembled the classic characters in their gameplay, were not as memorable to players. The interesting thing to note is that, unlike in past entries, Tira will be a DLC character. As a result, you’ll be able to play as her only if you buy the season pass or her downloadable content specifically. Additionally, Bandai Namco released a trailer focusing on the game’s story mode, which is called “Libra of Soul.” In it, you’ll be able to create your own custom character and pick “from thousands of different combinations, including 16 races (such as human, lizard, or even living skeleton! ), size, facial features, hairstyle, clothes, armor, and … weapons & fighting style!” One aspect of Soulcalibur V that was praised by most fans was the character customization, and Soulcalibur VI’s looks to be just as (if not more) in-depth, so it’s worth checking out below. Soulcalibur VI releases on Oct. 19 for PlayStation 4, Xbox One and PC.